It being Golden Week ("GW"), the traffic is very heavy on all roads in and out of the Tokyo area. Sure, there are the usual 50km+ traffic jams on the expressways, but smaller and local roads also are crowded. The solution is to ride on closed forest roads -- the "rindo". 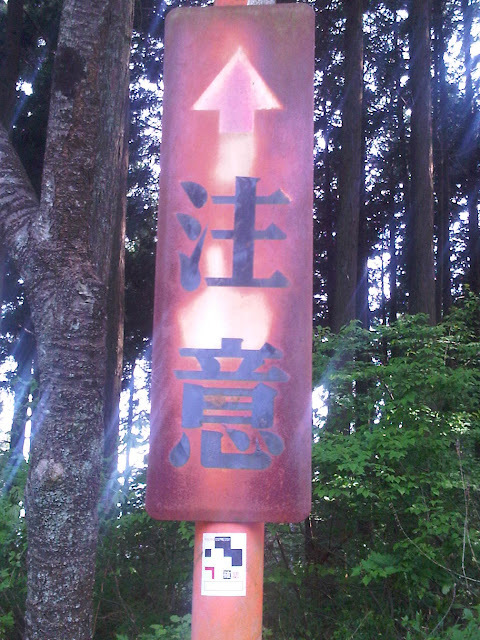 On Tuesday, I did a loop -- heading to Itsukaichi/Togura (the last 7/11 before the climb to Tomin no Mori/Kazahari). 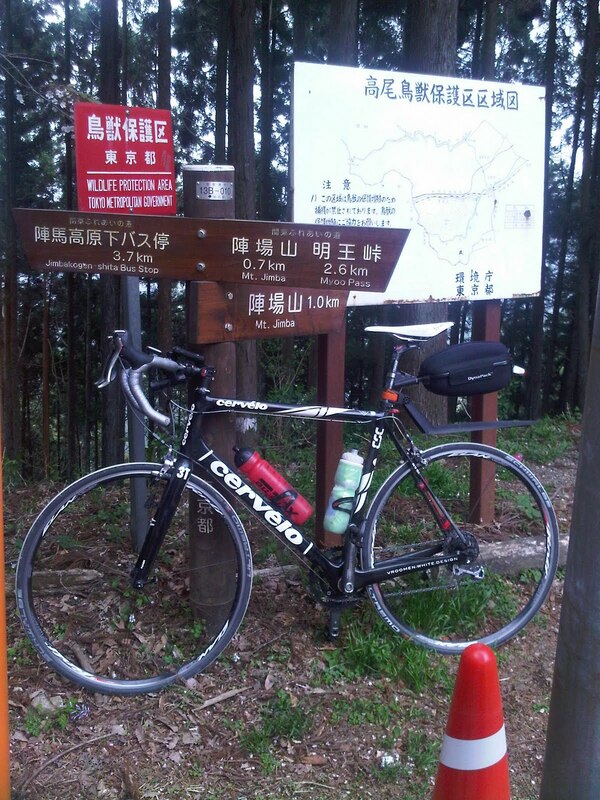 It looked like rain in the higher hills, and the traffic was ridiculous, so I headed for Daigo Rindo and Iriyama Pass, approaching it from the North for the first time, then went up the Wada Pass closed/forest road. I happened to come across Laurent D. on the way out of town, and we rode together and chatted until I headed for Itsukaichi -- Laurent said he was going on toward Oume. But he thought better of it soon after, since I came across him again on the Daigo Rindo approach, and we did the climb together. He is ready for his London-Paris ride -- and beat me to the top of Daigo by a minute or two ... though he declined to repeat on Wada, and instead headed for home. Tuesday's route was very nice for avoiding traffic, ... so today I started the same route again, but descended the back of Wada toward Fujino, and climbed the Bijotani Rindo, then returned via the north side of Lake Tsukui (another "rindo" ...), then the tank road and Onekansen. The weather was spectacular, the hills were beautiful, and the traffic was very heavy, with mobbed convenience stores, long lines at their bathrooms and full parking lots. The rindo were ... deserted. MOB was here -- Bijotani rindo remains "Positivo Espresso Approved"
Daigo, Wada and Bijotani are not high, but they are steep. With Kazahari Rindo on Saturday, and 125 km yesterday and 140 km today, I feel like I got in some decent GW workouts ... but tried to leave a little something in the tank so I'll be able to do this weekend's 600km Brevet.